An alien hunter has claimed to have found the missing MH370 plane in a Google satellite image. Keep in mind though, this is the same guy who thought he found a UFO, but it turned out to be a water tower. 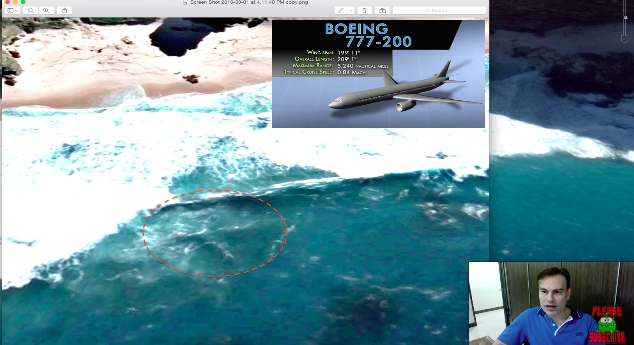 Astrobiologist Scott Waring believes a grainy outline of the Boeing 777 can be seen beneath the water off the coast of Cape Town in South Africa. His claim comes nearly two years after the Malaysian Airlines flight disappeared with 239 people on board. The plane was flying from Kuala Lumpur to Beijing on March 8, 2014 when it vanished, failing to make contact with air traffic control. 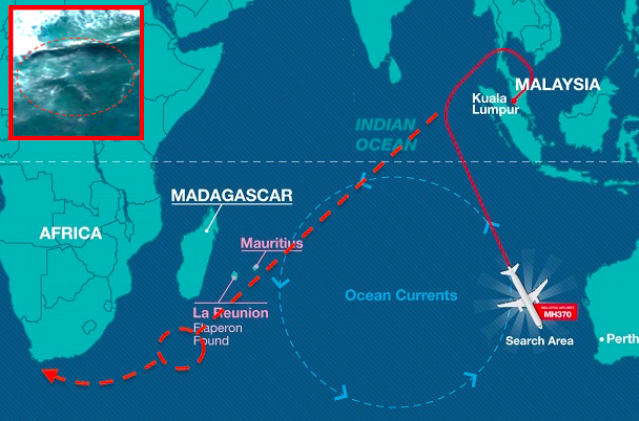 Waring, who runs website UFO Sightings Daily and claims to have worked for the U.S. Air Force Strategic Command centre, suggests that the plane survived the crash and lies four to nine feet beneath the water at the Cape of Good Hope. 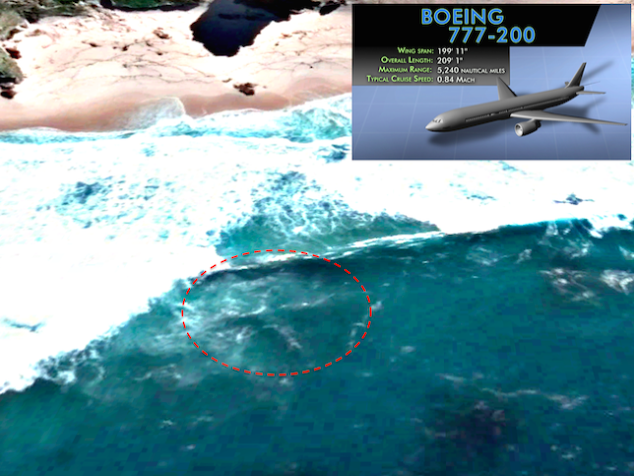 I was looking around the Cape of Good Hope for an old UFO sighting I found there years ago, and was hoping to make an update when I came across a shadow in the water. The shadow resembled an airliner. I used to work on B-1 bombers back at Ellsworth SD, at a SAC during my USAF days. I know a plan when I see one. I certainly crawled onto them and in them enough. Waring said in his post that the Google Earth photo is dated 27/06/2015, and the plane disappeared on 8/3/2014, so it had 16 months of moving about to get there. Seems a bit forced to me.